Did you know that Georgia has lots of covered bridges? Learn more about the Watson Mill Bridge in Comer and more in this Explore Georgia article, HERE. Strawberry Festival at The Rock Ranch April 25. Saturday May 9th. (The dates changed due to weather) Barnesville. 10am-4pm. $12 admission for ages 4 and up. Americus Explorer Train Ride on the Sam Shortline. April 25th. Riding in air-conditioned, 1949 vintage train cars, you can travel from Cordele to visit Historic Downtown Americus and tour Habitat for Humanity’s Global Village (Admission applies. Call 229-410-7937 for group reservations and rates). Wheels in the Valley Car, Truck & Motorcycle Show Sat. April 25th 8 am- 11:30. FVSC Wildcat Stadium parking lot. Spectator admission is Free. April 26 3:00-3:30. Children’s pottery, Free. Cancel if rain. Children will learn to make coil pottery and taken their creation home with them. Birds of Prey May 9th. 10:00, 12:30, & 3:30. Live flight demonstrations with owls, hawks, and falcons. First Saturday at the Museum by Navicent Health. Sat. May 2, All Day. Admission is Free. Houston County Friends of Library Old Book Sale April 30-May 2. Perry. Georgia Building of the Ga. National Fairgrounds. 90,000 books and media sorted into more than 50 categories! Callaway Gardens Azalea Season is going on now thru Thursday April 30th. More than 20,000 azaleas! Reptile Review at F.D. Roosevelt State Park. April 25. Times are 11am- 12pm Learn how to ID local snakes, turtles, and lizards Meet at the CCC Stone Amphitheater next to the Park Office. Admission $3 for ages 4 & up. Parking $5. Strawberry Festival. April 24-25. Reynolds Events include; Strawberry Cook-Off with celebrity judges, Parades, Old Book Sale, Arts & Crafts, Classic Car Show and Clown Car Show, “Weenie Dog” Race, Lawn Mower Race and more. Parking Lot Party supporting Wounded Warrior Project. Sun. May 3 in the Hobby Lobby parking lot on Watson Blvd. 1-5pm. Wildflowers & Wildlife Discovery Table April 26 from 11 am-2 pm. Homeschool in the Park:Insects Friday May 1. 9:30- Noon. Pine Mountain Trail Workday May 16, June 20, July 25 & Aug. 22. Times are 10am-3pm. Volunteer. Help Restore the Power House April 26. Volunteer opportunity. Sew a Simple Doll May 16, July 18 & August 15. Learn to sew a Miss Poppet doll. The required doll kit is $7.99 plus tax. Kayak/Canoe Tour of Lake Blackshear. April 25th 3pm-5pm. $8 per person. Smores & More April 25th 7-8pm $2 per person. Great post! 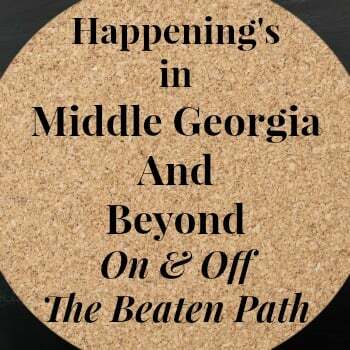 There is so much to do in Georgia even outside of the major cities. Thanks for sharing! Georgia looks like a gorgeous place to visit! I really love that they do a homeschool in the park day in F.D. Roosevelt State Park. We’re going to be homeschooling our youngest two and programs like that, surrounded by the beautiful outdoors, would be so nice! You had me at covered bridges, I think they are just gorgeous!! My brother and his family are moving to Georgia this summer and I can’t wait to go visit them!! Looks like an amazing place to visit! That image of the covered bridge is breathtaking – there’s not many of those left in North America any more so it’s really nice to see! Georgia looks so beautiful, I absolutely love it. I’ve always heard such great things about the events there too. Maybe I’ll plan a summer road trip! Everything sounds just so fun! Glad there are a lot of activities in your area! Wow, this is a great list of things to do. I wish I lived in the area, I’d never be bored. I LOVE covered bridges and always learning something new! Love visiting Georgia! I love that picture of the covered bridge. It looks beautiful. I use to live in Alabama years ago when I was a child. I imagine we went to Georgia a few times. Sounds like a lot of fun happenings. It has been ages since I’ve been to Georgia (except for the airport, but I’m not sure if that really counts). However, I wouldn’t mind visiting again! I have never been to Georgia, but it’s one of the states I would love to visit. I have been a city girl all my life (never even seen a barn!) and have always wanted to experience the country. I have always loved the look of covered bridges. Georgia looks like an amazing place to visit. Covered bridges are one of those things I have been dying to take photos of for years! In my ideal day it would be stormy and dark skies when I finally get to take these photos lol. We’ve been to some parts of Georgia including Atlanta but never been to those areas on your list yet. I would love to go to that bridge. It’s beautiful! There’s one partk in the area here that we go to every summer and it has a covered bridge but it is only for display. That looks beautiful! I visited a friend in Atlanta last year but literally spent the entire weekend shopping! lol! I can’t wait to go back and see the sights! I’m constantly looking for new places to visit. I really need to check it out. Who knew there were so many things to do in Georgia. I would love to visit Georgia! I’ve heard so many great things and there looks like tons to do! Hopefully I will soon be able to go for a visit! We have been to Georgia before and loved it!! These all sound like great events to attend! Thank you for sharing this with me! I’ve never been to Georgia before but loved learning more about the area! Hopefully I can make it there sometime soon! They used to call those kissing bridges around here. That was where all the young lovers would go to get a kiss where no one could see them. This is surely a traveler’s paradise – so many things to do and so many beautiful places to take photos of. I hope to visit Georgia in one of my future trips. There was a fellow blogger who recently wrote about her Georgia adventures and this just makes me want to go all the more. Omg!!! So many fun things going on!!! And those covered bridges!!! Would be awesome to see some of those. That covered bridge is awesome! Have I told you lately how glad I am that you’ve started sharing things to do in my home state? I can now keep up with everything going on at home. Thanks, again, Shirley! I live in Georgia, and I love to visit the covered bridges in our area. They’re one of my favorite things about the state! Thanks so much for sharing all of the fun things to do in Georgia. I haven’t seen a covered bridge in ages, not since taking my aunt to a doctor appointment that was hours away. I did want to mention that this weekend there is going to be a yearly Turkey Creek festival going on in my little town of Byromville, Georgia. It sounds like there was a lot going on there. I have never visited Georgia, but it is on my bucket list of places to visit at some point. Wow there looks like a lot of fun things to do in Georgia. Wish I lived there. Thanks for linking up at #HomeMattersParty hope you will come back next week to link up again.